Challenge: Create a sentence using only book titles.You must use all the words in a book title, but you can add punctuation. 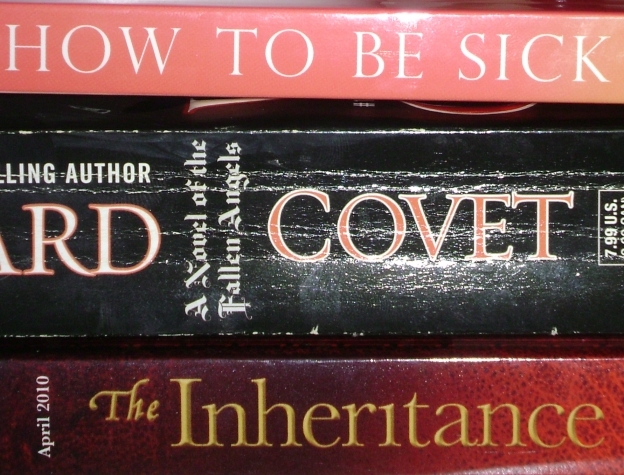 How to be sick: covet the inheritance. 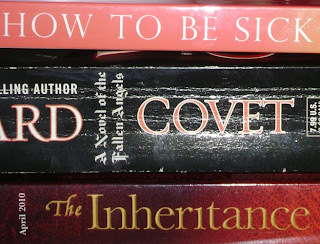 I do covet the inheritance! lol Great sentence! Yes! Excellent job. Thanks for participating! I would never have come up with that one! good work! Readathon Mini-Challenge #3 - Book Appetit!